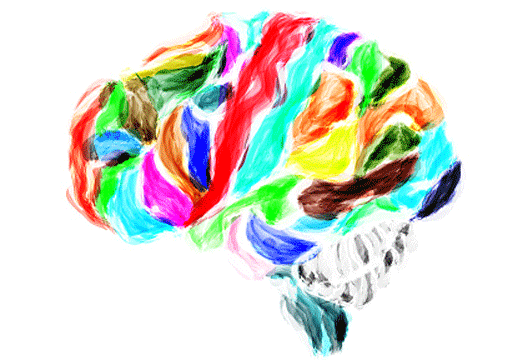 Dr Marie Stopforth reports from an event on creativity and mental health. Few might imagine that the London College of Fashion, part of the University of the Arts London, would host an event entitled Creativity and Mental Health: Down the Rabbit Hole. However, January saw this event took place as part of the Wellbeing Research Hub seminar series at LCF’s Oxford Circus site in London. The Wellbeing Research Hub was created and is led by Chartered Psychologist and Reader in Psychology at LCF, Dr Carolyn Mair. It aims to facilitate a deeper understanding of human behaviour in the creative industries and improve quality of life through a better understanding of psychological wellbeing. The seminars are free and open to staff, students, and members of the public. Creativity and Mental Health: Down the Rabbit Hole was facilitated by Dr Jekaterina Rogaten and Dr Soljana Ҫili, both Lecturers in Psychology at LCF. Dr Rogaten began the session by providing an overview of creativity in terms of how it is conceptualised, measured, and nurtured. She argued that although we may think of creativity in terms of a ‘special talent’ (e.g. dancing, designing), there is actually a universal human ability for creativity which involves components of divergent thinking including fluency, flexibility, originality, and elaboration, and that this can be nurtured and developed. Dr Rogaten also described the contributions made by psychology in identifying the cognitive stages of the creative process, personality traits and emotions that are argued to facilitate or hinder creativity, and the impact of factors such as historical and cultural environment. She focused, for example, on how openness to experience and positive affect may facilitate creativity and how a combination of globalisation and financial crises increasingly requires individuals and organisations to innovate. This overview sparked an interesting discussion regarding the definition of creativity and the capacity of individuals with moderate to severe psychological disorders to engage in divergent thinking. This led to Dr Ҫili’s presentation on the relationship between creativity and mental health. She began with anecdotal accounts of a plethora of artists and scientists who had well-documented mental health struggles, but highlighted that the empirical evidence is based on a limited number of studies that often have methodological flaws. Most, if not all, of these studies are correlational and therefore unable to infer cause and effect. However, Dr Ҫili was able to lead the audience through a number of explanations that might account for the relationship between creativity and mental health. For example, she presented hypotheses that symptoms of psychopathology such as rumination or disinhibition may facilitate the creative process by respectively narrowing individuals’ attention and encouraging divergent thinking. She also mentioned how creative work may trigger or exacerbate symptoms through outcomes such as negative feedback on the creative output. Dr Ҫili’s presentation ended with an overview of some of the evidence that supports the contribution of creativity to positive mental health. This interesting and informative session allowed expert commentary and audience debate on topics that continue to generate interest in the arts and wellbeing community. It culminated in a drinks reception which allowed attendees to network and further discuss the topics presented. - Dr Marie Stopforth is a Chartered Psychologist and Senior Lecturer in Psychology, London College of Fashion. More information on Wellbeing Research Hub events can be obtained by contacting Dr Carolyn Mair at [email protected] or visiting the website.